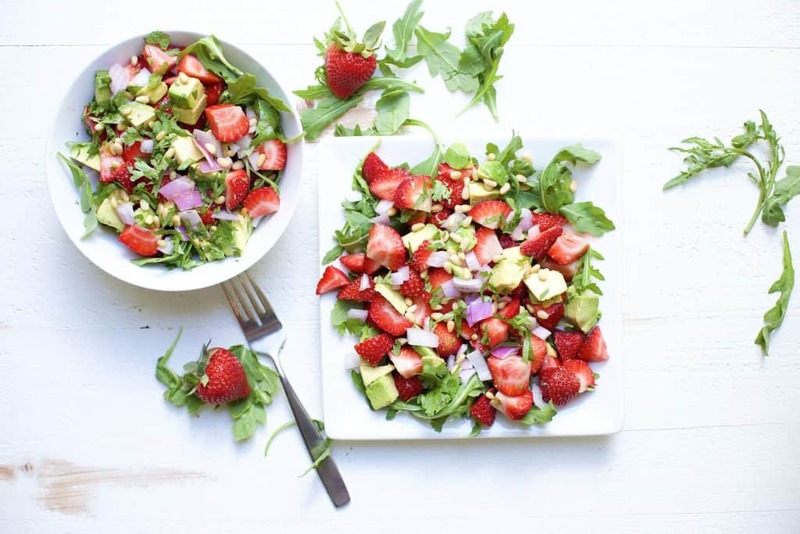 This Strawberry Avocado Salad makes a delicious addition to any spring or summer meal! 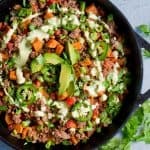 Light, refreshing, nutrient dense, and so delicious! Hi friends! Another day, another dish with my favorite things! 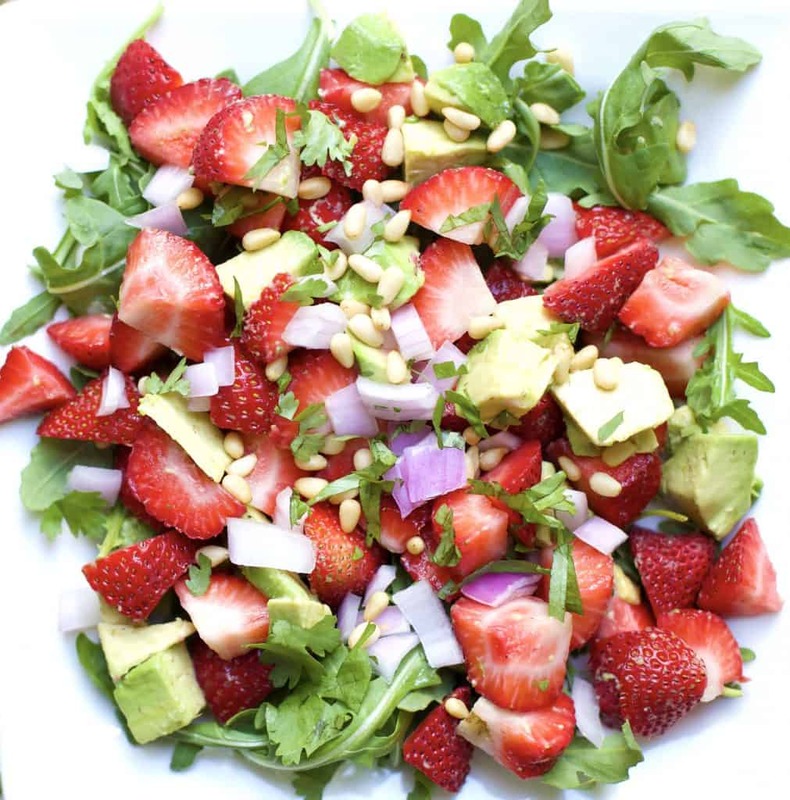 I’m excited about this combo salad of avocados strawberries, fresh cilantro, red onion, crunchy pine nuts, and spicy and crispy arugula. 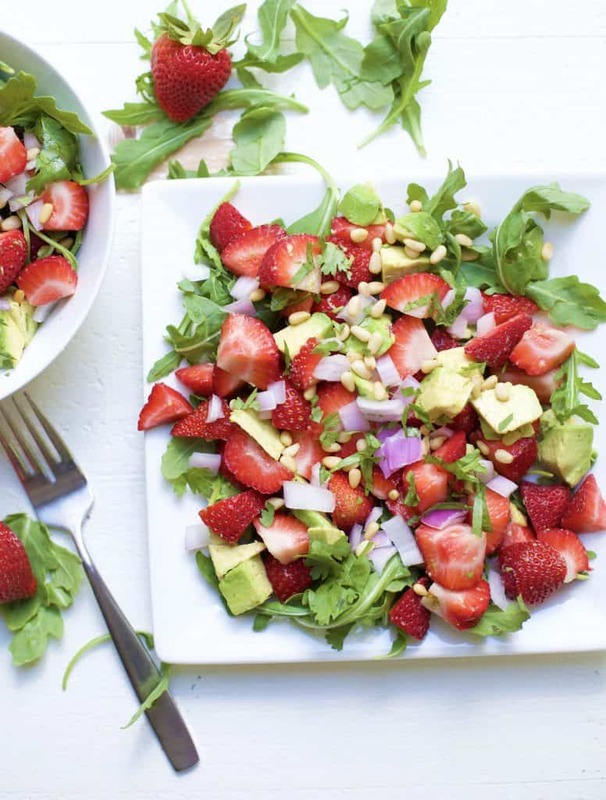 All tossed with an easy lemon vinaigrette that requires little prep time. 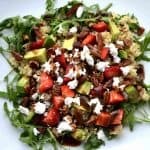 So many super yummy textures in this salad, and a flavor combo that leaves your tastebuds wanting more! In case you didn’t know, 3 of my top 5 favorite foods in life are all tossed together for this bowl of yumminess. Can you guess what they are?? Hint: they are all green! So I am avocado, cilantro, and arugula obsessed. The sweet taste of strawberries is just an added bonus. 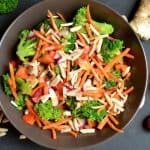 I whipped up an easy lemon dressing that also contains coconut aminos (or use soy sauce) to give the salad a perfect balance of salt. The pine nuts are also a super fun addition, and in case you were wondering, any nut such as almonds or walnuts can replace the pine nuts. 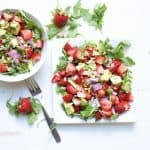 If your spring has been anything like mine, you are constantly in the hunt for an easy salad to serve to others or maybe just to make for yourself! The other night, I was in charge of making a salad for my book group and couldn’t wait to share this with my friends. 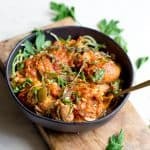 I also will use this easy dish for a side dish to grilled chicken or steak. Summer time is also my salad season, where I pretty much eat a bowl for breakfast, lunch, and dinner. 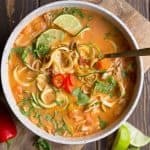 It’s so easy to whip up for quick lunch! Assemble your salad. 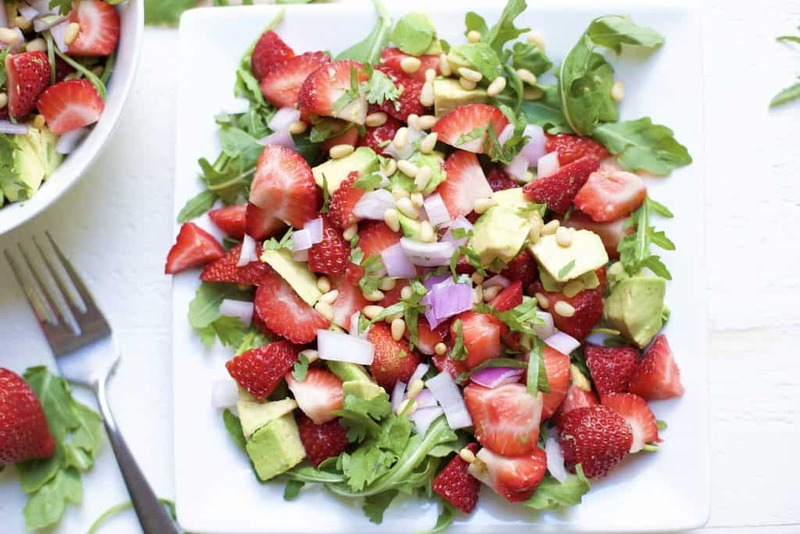 Toss together strawberries, avocado, onion, cilantro, and arugula very gently (being careful with the soft avocado). 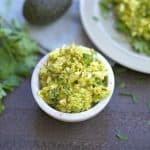 In a small bowl whisk together dressing ingredients, or add to a jar and shake. Once ready to serve, toss dressing with salad ingredients gently. 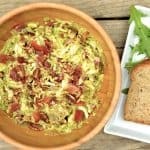 Top with pine nuts and serve.